Two Cute Cartoon Kangaroos Baby T-Shirt Cheerful Madness!! Turquoise Poppy Fields Schoolhouse Tunic by Cheerful Madness!! Sweet Cartoon Polar Bear Cub Pink Leggings by Cheerful Madness!! Global Free Shipping from Jan 29 to Feb 03, 2016: enter coupon code 2LOVE at checkout for standard free shipping. It's Spring! !-Two Cute Cartoon Pigs Baby Romp Shirt Cheerful Madness!! 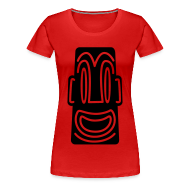 Tiki Boom T-Shirts by Cheerful Madness!! "OINK!!!" Cute Cartoon Pig Baby Beanie Cheerful Madness!! Cute Black and White Cartoon Pigs Diaper Cover Cheerful Madness!! "OINK!!!" Cute Cartoon Pig Diaper Cover Cheerful Madness!! "OINK!!!" Cute Cartoon Pig Ruffle Dress Cheerful Madness!! "OINK!!!" Cute Cartoon Pig Ruffle T-Shirt Cheerful Madness!! "OINK!!!" Cute Cartoon Pig Baby Romper Cheerful Madness!! "OINK!!!" Cute Cartoon Pig Baby Dress Cheerful Madness!! The Little Book Lover (Cartoon Pig) Ruffle Dress Cheerful Madness!! The Little Book Lover (Cartoon Pig) Ruffle T-Shirt Cheerful Madness!! The Little Book Lover (Cartoon Pig) Baby Bodysuit Cheerful Madness!! The Little Book Lover (Cartoon Pig) Baby Dress Cheerful Madness!! The Little Book Lover (Cartoon Pig) Baby Romper Cheerful Madness!! The Little Book Lover (Cartoon Pig) Baby Beanie Cheerful Madness!! Two Cute Cartoon Pigs in Spring Baby T-Shirt Cheerful Madness!! The Little Book Lover (Cartoon Pig) Diaper Cover Cheerful Madness!! Our official shop at Amazon T-shirts for men, women and youth, sporting our cartoons and artwork. A cute little pig dancing, dancing and dancing! Join the dance floor and be a true party animal with this T-shirt by Cheerful Madness!! Available on men's, women's and children's t-shirts. Click the image below to order your T-shirt. Two Cute Cartoon Pigs in Spring Ruffle Dress Cheerful Madness!! Two Cute Cartoon Pigs in Spring Ruffle T-Shirt Cheerful Madness!! Two Cute Cartoon Pigs in Spring Baby Dress Cheerful Madness!! Two Cute Cartoon Pigs in Spring Baby Romper Cheerful Madness!! Two Cute Cartoon Pigs In Spring Diaper Cover Cheerful Madness!! Two Cute Cartoon Pigs In Spring Baby Beanie Cheerful Madness!! YEAH!! Cute Cartoon Pigs Ruffle Dress Cheerful Madness!! YEAH!! Cute Cartoon Pigs Ruffle T-Shirt Cheerful Madness!! Cute Inquisitive Cartoon Fox Ruffle Dress Cheerful Madness!! Cute Inquisitive Cartoon Fox Ruffle T-Shirt Cheerful Madness!! Cute Inquisitive Cartoon Fox Baby Bodysuit Cheerful Madness! !